You know the saying right? When in Rome, do as the Romans do. 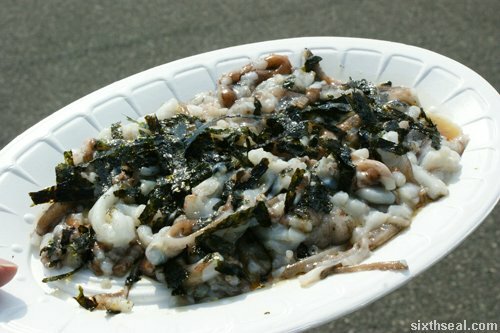 There are several must-eat dishes in Korea – and one of them is live octopus. I also had a dish that is…er, decidedly canine in flavor but that’s another post. Live octopus (octopi?) is served with the eight armed creature still squirming with the suckers trying to stick on your tongue. It’s surprisingly good – videos up soon, I just finished working, am so tired I’m about to pass out.